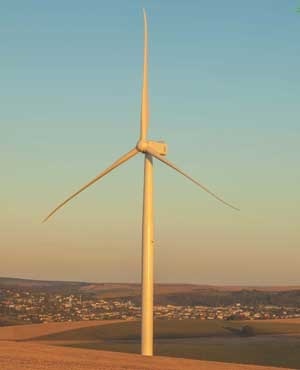 Low-cost renewable energy offered Eskom a game-changing opportunity to help the cash-strapped utility save money and secure the country’s electricity supply, the South African Wind Energy Association (Sawea) has told Parliament's Portfolio Committee on Energy. In the second day of public hearings on the draft Integrated Resource Plan (IRP) Sawea said on Wednesday that Eskom was battling with coal supply problems and ageing coal power stations that were increasingly expensive to run. Jo Dean, who made Sawea’s submission, told members of Parliament that Eskom should see the benefits of the renewable energy industry, rather than view it as a threat. "This will require a complete paradigm shift to ensure that Eskom and South Africa capture the maximum benefits of renewables," Dean said. Sawea understood Eskom’s financial problems were linked to a "technical supply surplus" because of declining electricity demand, as well as the cost of Medupi and Kusile coal power plants still under construction. From a pure cost perspective, a mix of renewable energy was the cheapest option for South Africa. There should be no new coal or nuclear, as that electricity generation was expensive and would require government subsidisation, Dean said. Renewable energy was flexible and could be built where the old coal power stations were to be decommissioned, enabling staff at coal plants to be retrained for the renewable industry. While there was a strong call in the submissions over two days for the country to bring on more renewables and shift away from climate-changing coal, the Western Cape branch of the National Union of Mineworkers called for less renewable energy and more coal in the future electricity mix. NUM provincial secretary Soso Fisa said while they were aware of the call to keep global climate increase to 1.5°C, South Africa was not compelled to reduce carbon emissions at the expense of the country. Fisa said if South Africa stopped using coal for electricity, the coal would just be exported to somewhere like China, and that country would burn the coal to fuel their economy and the carbon emissions would still be released into the atmosphere that the world was trying to save. Khangela Baloyi, NUM shop steward, said they proposed that more coal be included in electricity production, so that coal-fired power generation remained at current levels (40 000 MW). Aging coal power stations that were decommissioned must be replaced with new coal plant, he said. Anthonie Cilliers of the Nuclear Industry Association of South Africa took issue with the draft IRP’s assumptions that renewables were the least-cost option for electricity generation. Cilliers said the plan did not judge all energy sources on the same merit. He said the IRP had not used "fully indexed power purchase agreement prices" for wind and solar energy, nor had it calculated costs discounted over time for nuclear. The only way to correct this was for South Africa to call for proposals from nuclear vendors, so that "the correct costs" of nuclear could be seen. The public hearings resume next week.